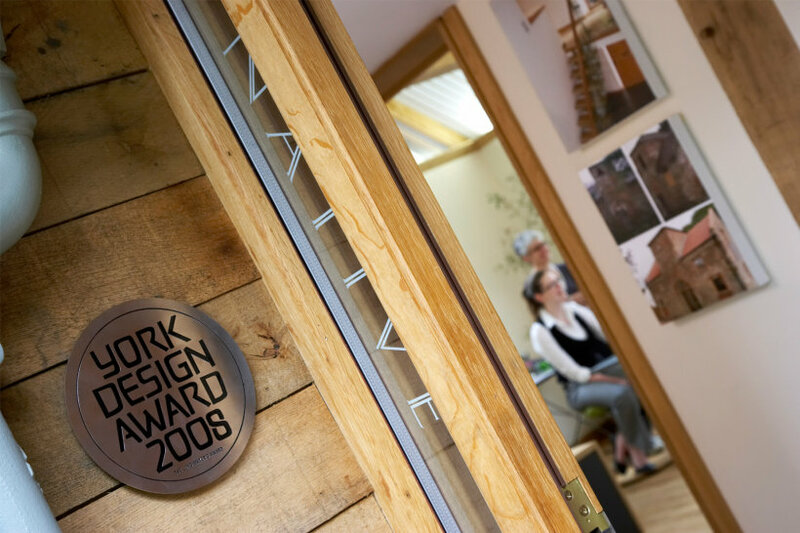 A green oak framed home office extension to the architects’ 1920s cottage. 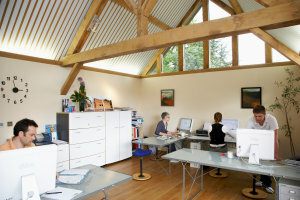 The office incorporates many renewable technologies including a Carbon Trust funded bio-mass boiler to run underfloor heating, triple-glazed windows, sunpipes, natural lighting and ventilation, and a solar hot water system. The incorporated technologies have allowed the property to lower its carbon footprint by 8 tonnes per annum and act as a demonstration platform for our commitment to sustainable construction techniques. 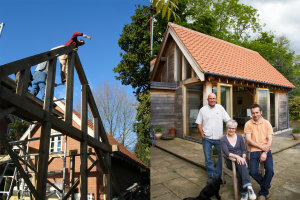 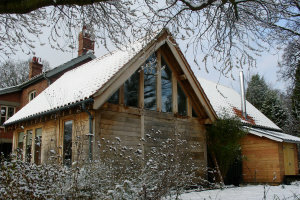 The extension was constructed as a hands-on self-build project by the architects and their team.